Trio go on shopping spree using stolen credit card | Crime Stoppers of the Lowcountry: 554-1111 | 1-888-CRIME-SC | Anonymous tips earn cash rewards with Crime Stoppers of the Lowcountry. NORTH CHARLESTON, SC (WCSC) - The Charleston Police Department is looking for three people who used a stolen credit card to go shopping at a department store. 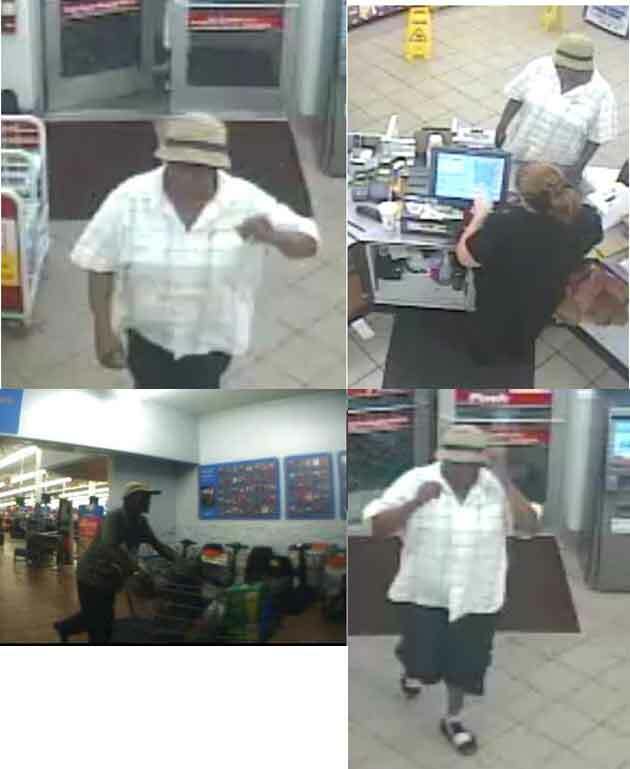 Police released several pictures on Tuesday of three people suspected of using a stolen credit card at the Walmart at Tanger Outlet in North Charleston on Aug. 21. If you have any information you are asked to call Inv. J. Jackson at (843) 720-3913 or jacksonj@charleston-sc.gov, Charleston police at 577-7434 or Crime Stoppers at 554-1111. 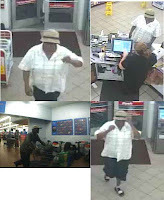 According to investigators, the credit card was stolen from a Ford Explorer at home on Rutledge Avenue on Aug. 21. The victim said when her roommate left their home around 7 a.m. she noticed that the victim's driver side window was broken. The victim then checked her vehicle and noticed her purse was missing from the passenger seat. Police say the victim's purse contained cash, credit cards, a driver's license and an iPod. The victim told police that one of her credit cards was used at a Hess gas station and at Smokers Express on Meeting Street for a total of nearly $200. Another of the victim's cards was used at the Walmart at North Charleston. Authorities say the suspects attempted to use the card again at a CVS pharmacy but was denied because the victim canceled the card.